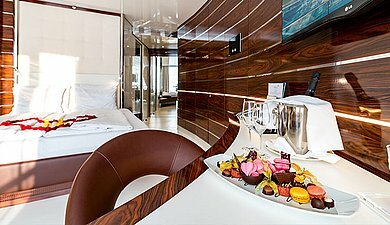 The exclusive Panorama exterior cabins are on the upper Deck of our ship. 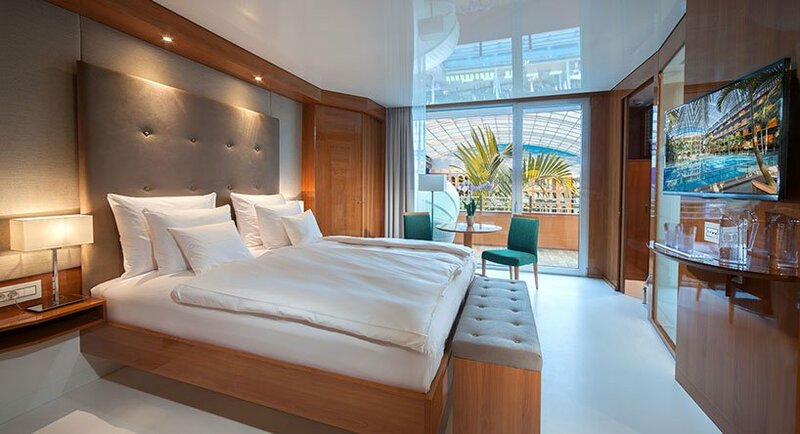 Quiet elegance in harmoniously neutral colours and modern furnishings characterize these spacious and bright rooms on board the VICTORY. 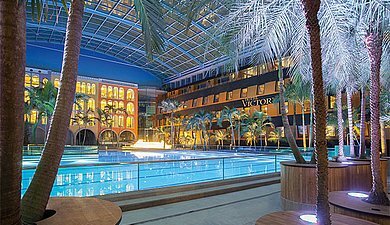 Enjoy the breath-taking view of the palm-lined Wavepool of the world’s largest spa from the balcony of your hotel room. Relax with a good glass of wine in Caribbean temperatures. Let your soul float freely while you lean back in your comfort lounger, and let the hypnotic sound of waves carry you away. The romantic Panorama exterior cabin at HOTEL VICTORY promises relaxing moments that let you forget about life for a while.